Rack-and-pinion design offers 17,000 lb of thrust (75.6 kN) and 20,000 lb (89 kN) of pullback force for outstanding performance on a wide range of installations. 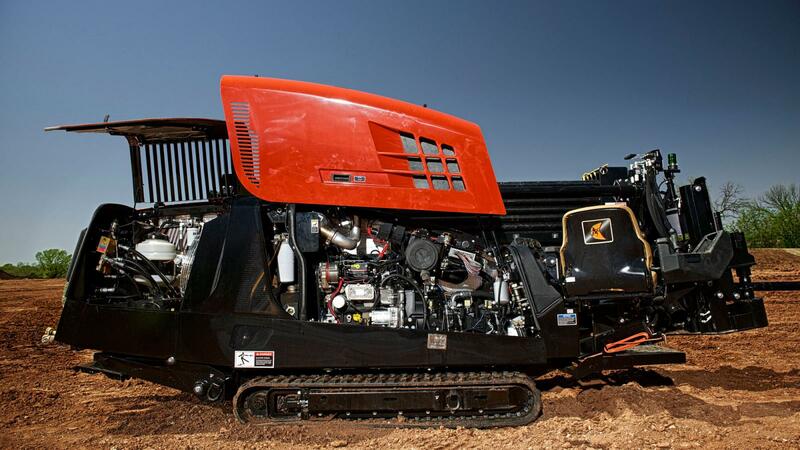 Turbocharged, 74.5-hp (55.6-kW) Deutz® diesel engine is Tier-4 compliant, requiring no expensive after-treatment; engine’s diesel oxidation catalyst replaces the muffler and decreases emissions. 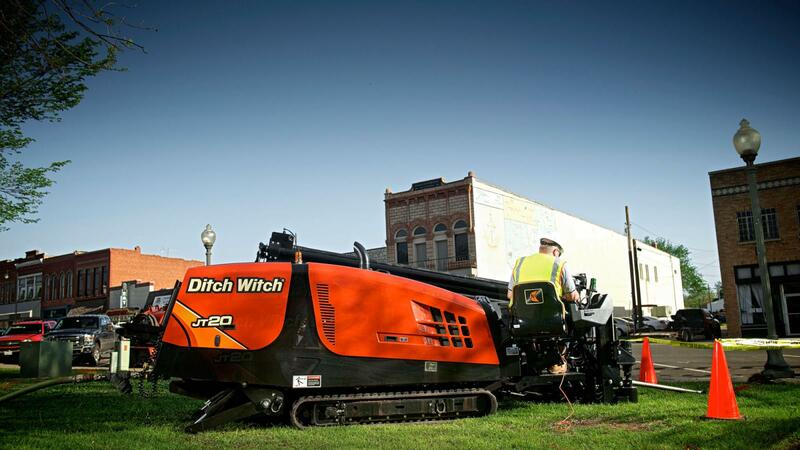 Compact size allows greater productivity on residential and urban jobsites; JT20 has a high ratio of power to size, allowing you to install more utilities per day in tight, congested areas. 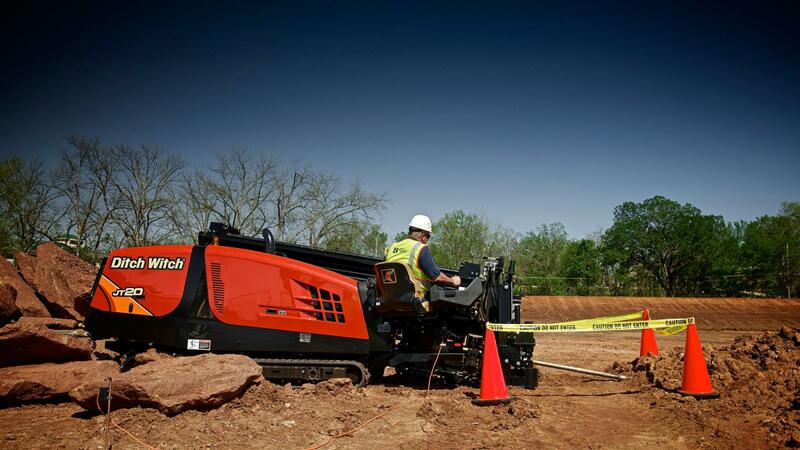 Industry-best cruise control system simplifies drilling and backreaming. 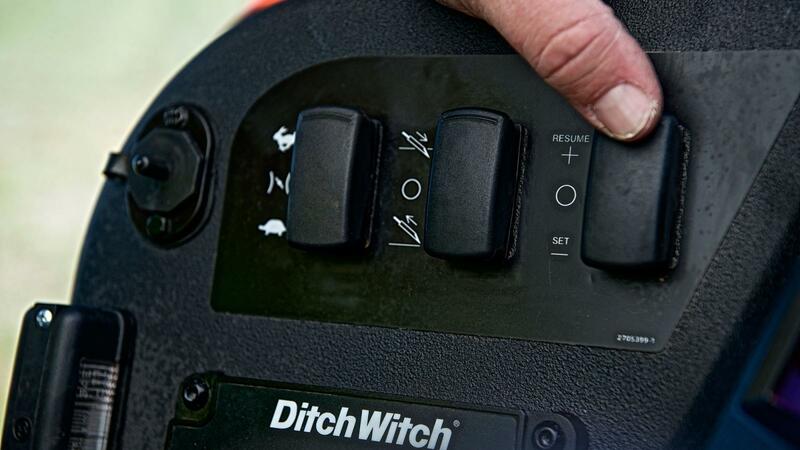 Auto-throttle feature saves fuel and reduces pollution by slowing the engine to idle after 15 seconds of inactivity; when you resume work, the auto-throttle engages. 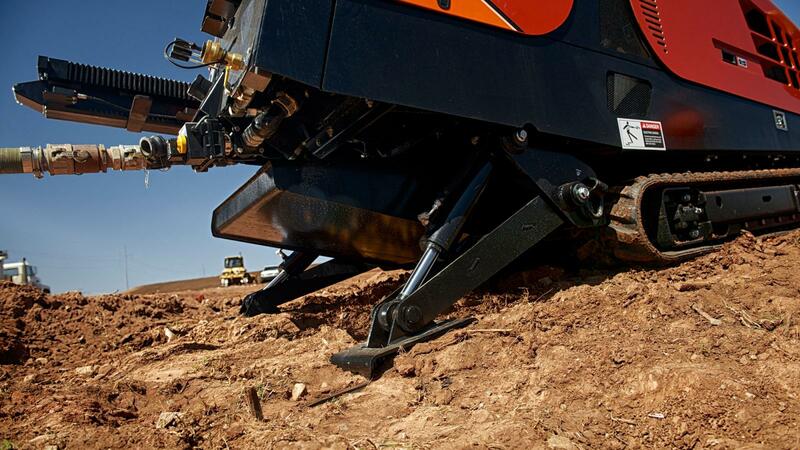 Automated, intuitive carve mode reduces operator fatigue and is easy to set up and adjust; compatible with industry-leading TriHawk® HD housings and bits for superior efficiency and productivity in hard, compacted soils and soft rock. 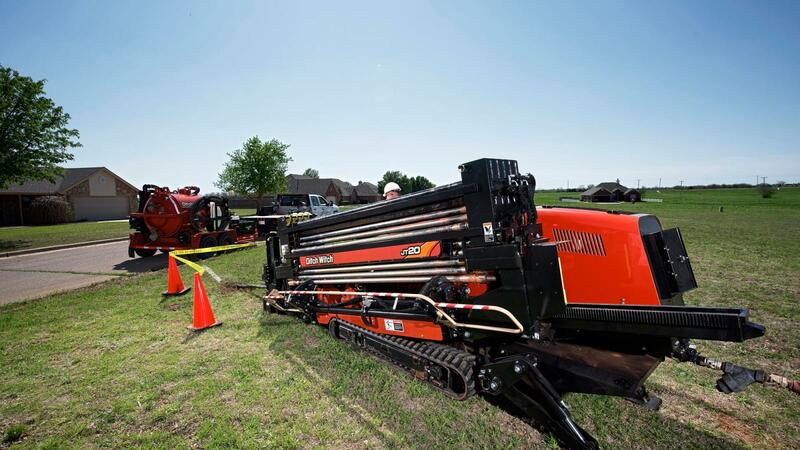 Coordinated makeup feature increases the life of drill pipe joints by automatically matching carriage speed with rotation during pipe makeup and breakout. 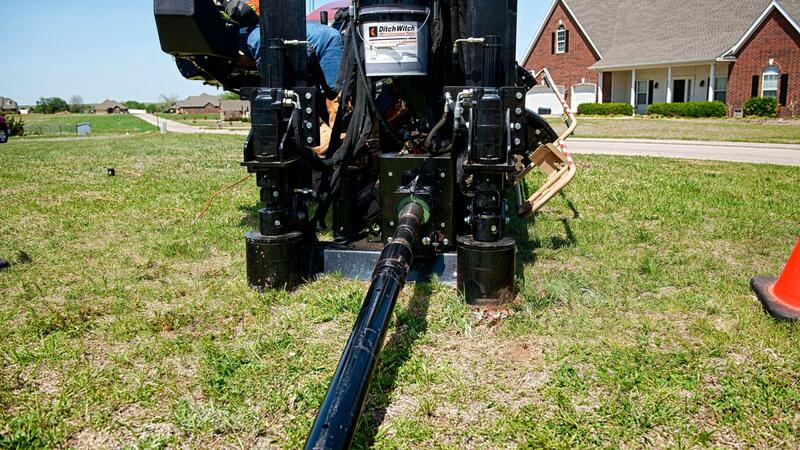 Drilling fluid system pumps mud at 25 GPM (04 l/min); high fluid flow enables longer utility installations and better performance in sandy soils. 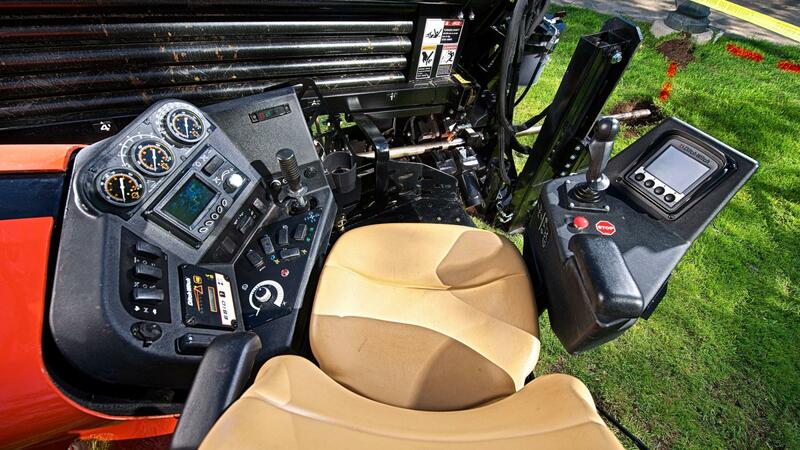 The JT20 has no grease zerks—the competition has 19—and all daily maintenance points are in one easy-access location, reducing service time and increasing uptime. Dual rear independent stabilizers are easy to set up and enhance stability on uneven or rough terrain. 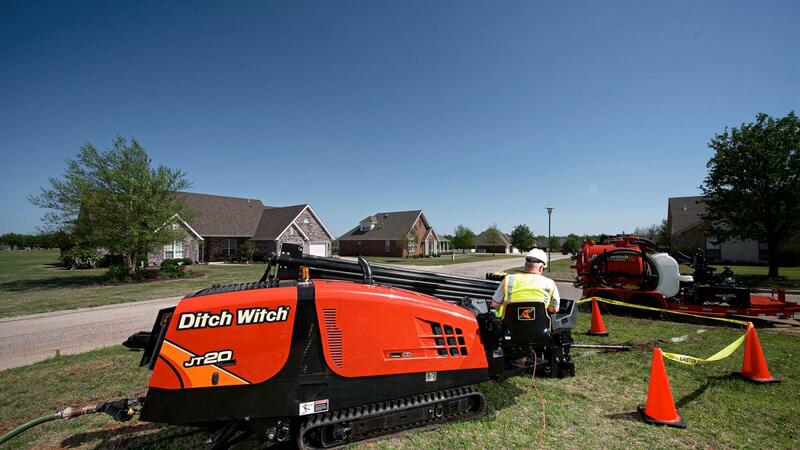 Proven tethered ground drive controller allows you to maneuver the drilling unit to a position that provides better visibility, easier loading/unloading and easier positioning. Best-in-class, heavy-duty anchor system with 16 inches (40.6 cm) more engagement than competitors’ drills, for outstanding stability. Exceptionally efficient Sauer H1 hydrostatic pumps control rotation and thrust; design enhancements include a larger displacement pump and simplified, two-speed hydraulic thrust circuit for increased reliability. At only 87 dBA, engine is among the quietest in its class, for increased operator comfort and reduced environmental impact in urban areas. 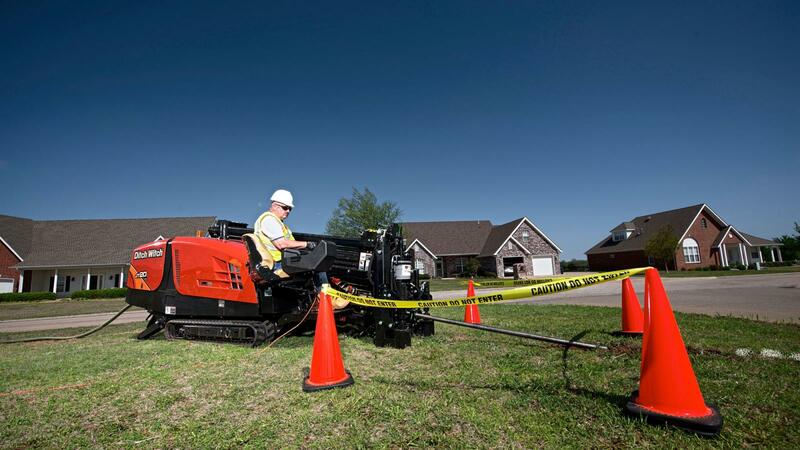 Comfortable operator's station provides excellent visibility of the drill pipe and pipeloading system; open-top vise wrenches are angled toward the operator for an excellent view of the tool joint. Color LCD display provides engine diagnostics and informational messages.